COLUMBUS, GA (WTVM) - As Christmas approaches, a group of Columbus police officers invited local children in need to finish their gift list for their families. The Columbus Police Department partnered with the local Target store to treat kids Saturday afternoon as part of Heroes and Helpers. 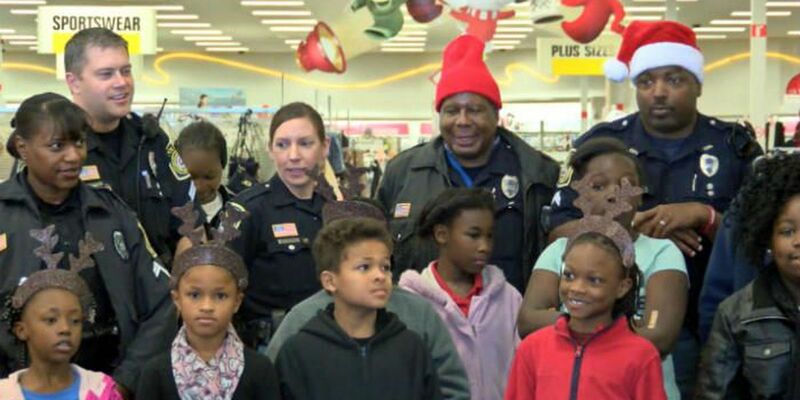 A select group of kids took an early Christmas shopping spree with their friends from the Columbus Police Department, as part of Heroes and Helpers. Target teamed up with these officers to give each child a chance to get their favorite toys, an opportunity they may not have gotten otherwise. "These kids were picked by either their school or law enforcement as children who are potentially in need, and to be able to give them a holiday season, was something just unlike anything else we've been able to do," said store manager Drew Wright. The kids got to splurge on gifts up to $120 and spend some quality time with their buddies in blue. "It's a chance for law enforcement to get time to spend with our community and it's a wonderful experience," said Corporal Angela Florence. The shopping spree wasn't the only activity in store for the kids. They also got to sit down with Santa, and some time to wrap the gifts that they are giving to their families. "Even though they were the kids picked for their need, they were actually shopping for their brothers, their sisters and it was just so touching," said Target team member Camelia Walker. "Every year that they do it, I'll definitely participate in it," Cpl. Florence said. This is the first time Target and Columbus police have teamed up to give back to local kids. Store representatives say they hope to help even more children next year.